Commercially introduced in 2014, HD radio is finally gaining steam in the American consumer marketplace. 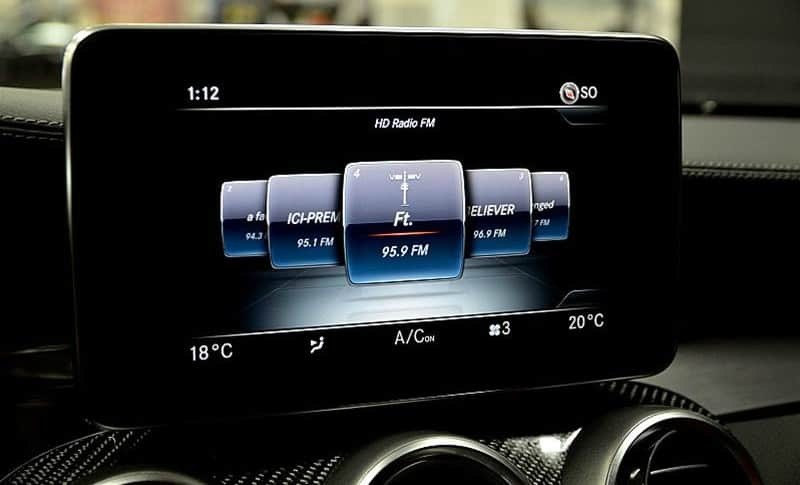 The reason for this seems plausible enough: HD radio represents a noticeable upgrade over present AM/FM systems, offering superior sound and additional data streams for information such as traffic conditions, weather reports and even other music channels. According to East Hills Chevrolet of Douglaston, a local Chevrolet dealer in Douglaston, NY, car makers originally installed HD radio receivers on just their premium models, but the reducing cost of receivers means they are now trickling down to lower-cost cars and trucks, if not slowly. If you are wondering what HD radio is all about, and whether your next car should have an HD radio, read on. We will examine how the “old” AM/FM radios work, how HD radio works and the features it offers car owners. The original radio format utilized a transmission method called AM (Amplitude Modulation.) Developed in the mid-1870s, AM radio is a relatively simple system and the transmitters and radio receivers used are inexpensive to make. Although AM radio audio is somewhat noisy and low fidelity, it offers a huge advantage of being able to propagate over long distances under the right conditions. This is because AM waves can bounce off the inner surface of the earth’s ionosphere and land hundreds of miles away. As a result, in the 1920s, most American families had an AM radio in the parlor and the well-heeled ones had AM radios in their cars. In the 1930s, Edwin Armstrong, an electrical engineer and inventor, developed the first FM (Frequency Modulation) radio system. FM radio signals are immune to interference and offer vastly superior sound quality due to higher carrier bandwidths. Originally AM/FM radios were only purchased for home use but in the 1940s they started to make their way into automobiles. The new kid on the block is HD radio. The fundamental difference between HD Radio and AM/FM Radio is that HD Radio utilizes digital transmission. Appropriating the “HD” abbreviation from high-definition TV, HD Radio offers better sound quality than AM/FM does. It also allows stations to add more programming via several additional channels that can be broadcast “alongside” a station’s main frequency. Stations often use these sub-channels to provide traffic or weather information, or diverse music content. The great news is that HD Radio isn’t a subscription service like satellite radio — it’s free just like AM/FM is now. So, what is on these additional channels? Unlike digital TV, HD Radio broadcasts don’t replace analog broadcasts, instead running parallel to them. In other words, stations supporting HD Radio can simultaneously broadcast analog and digital versions of the same programming. With a regular radio, you’ll hear the usual analog version. With a HD-compatible radio, the radio tunes in to the digital programming of the same audio carried by the analog AM/FM signals, and can automatically switch between the two. For instance, if an HD Radio signal becomes too weak, the radio automatically switches over to the parallel analog signal. The primary benefit of HD Radio is simple: It offers substantially better sound quality! Reviewers have commented HD Radio sound quality delivers deeper bass, higher treble, more stereo separation, and a greater dynamic range than what FM and AM does. At its best, HD Radio pushes FM sound quality closer to that of compact discs (CDs) and makes AM broadcasts resemble those of analog FM. Best of all, there is no background noise—the hiss or pops you often hear with analog radio. Many of the HD radio stations in the United States have added additional subchannels with different programming than the stations’ main AM/FM content. A station can have up to eight subchannels and typically carry programming of a different music genre than the main channel. The primary station might be Rock, for example, while a subchannel might offer Country or another genre to broaden the station’s appeal. If superior audio reproduction is important to you, HD radio might be something to consider. Not only will you get audio reproduction close to a high-end home system, you will be able to access additional content on a station’s sub-channels. You may be wondering if there are HD radio capable stations in your area. According to iBiquity Digital, the company that developed the HD Radio technology, there are more than 2,000 HD Radio stations across the U.S., today and you can identify what stations are in your area by visiting https://hdradio.com/stations.